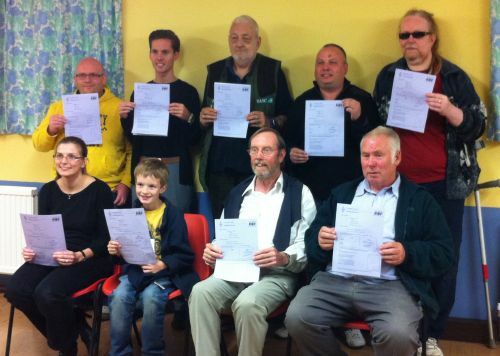 On Monday the 17th of November, the final CARS Skills Night of the year took place at the Village Hall in Danbury. 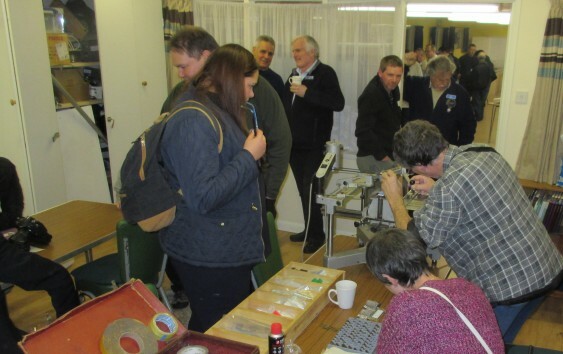 The previous Skills Night pulled in a record-breaking 54 attendees, but that number was comfortably broken this month with over 65 people making the trip to Danbury for a very busy evening. As well as amateurs from across Essex, the evening attracted visitors from South London, two clubs in Kent (including the guys from MARTS), recent CARS Foundation graduates, a new visitor who’d passed his Foundation one day previously in the south of the county, and Simon VA3SII, visiting from Canada. 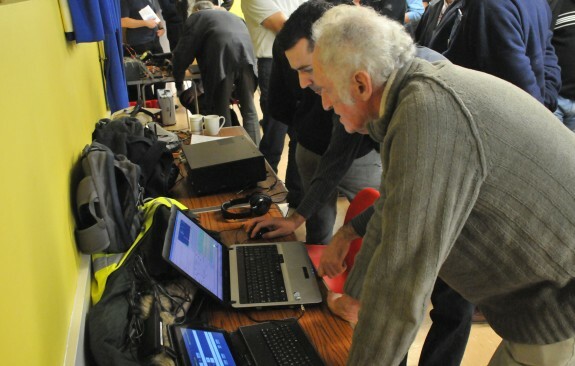 The Skills Night, an initiative from the Chelmsford Amateur Radio Society training team, offers a mix of show-and-tell, hands-on practicals and friendly chatter that’s free to all, regardless of club affiliation and licence level. 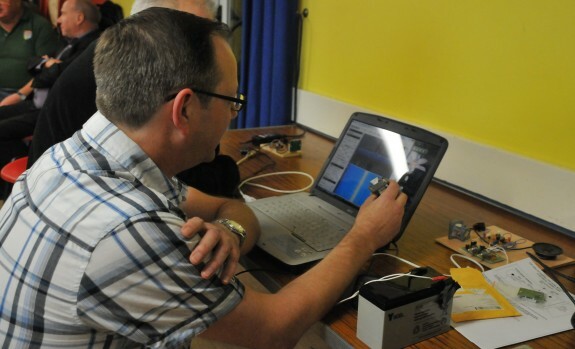 Steve M0SHQ demonstrating working with microwave frequencies including a demonstration of his microwave kit, based on a Gunn diode. Steve recommends that beginners on this subject go to www.g3pho.org.uk and click on “beginners start here” to get started operating in the GHz range. Peter G0DZB surprises us each time by bringing along something new or unusual. 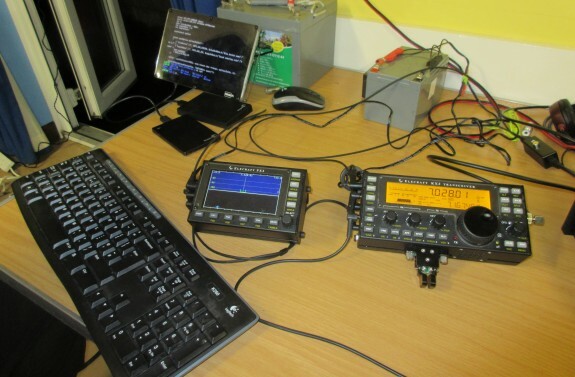 This month, Peter set up an Elecraft KX3/PX3 combination, as well as a Raspberry Pi panadapter. Peter’s demos are always a great mix of construction, programming, software, impressive hardware, RF and lots of wire. Charlie M0PZT brought along his prize-winning Android tablet logger (great for warmer-weather field days), and also ran a few data mode demonstrations for those looking to try something new. 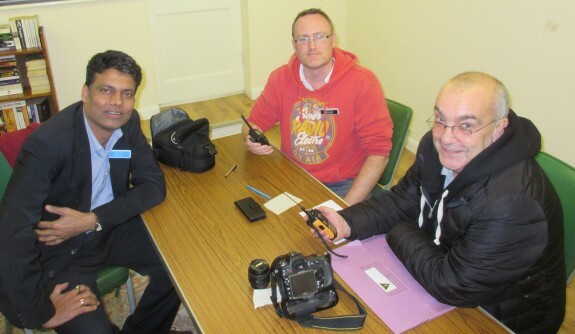 Steve G4ZUL, Rob M0KCP and Colin M1OCN were some of the members of the Essex CW club operating a live CW station on HF – fresh from a busy CW activity weekend. Offering antenna advice for the evening, Carl G3PEM helped with stealth antenna issues as well as to look at antenna modelling. 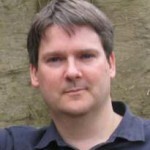 Jim 2E0RMI (presenter of the new Worldwide radio show Chelmsford Calling World Service) was in the “agony uncle” chair to help with M6 questions, and to dispel some myths about Echolink. 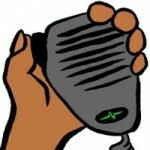 Kristian 2E0SSX took a break from his excellent work as the unofficial CARS photographer to help out with handset programming, bravely offering to program offsets and CTCSS onto a range of largely-imported handies. 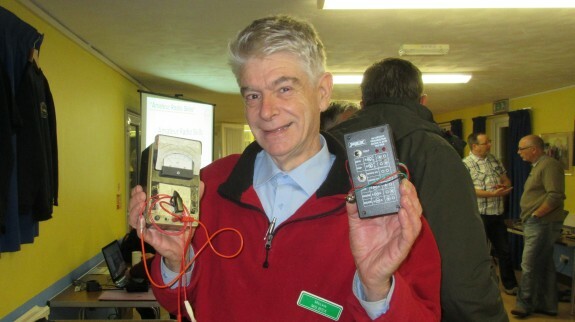 Melvin M6BSX brought along a few bits and pieces of a nostalgia for DX corner, including correspondence with a broadcasting Mission station and other radio nostalgia as well as a collection of construction boxes. 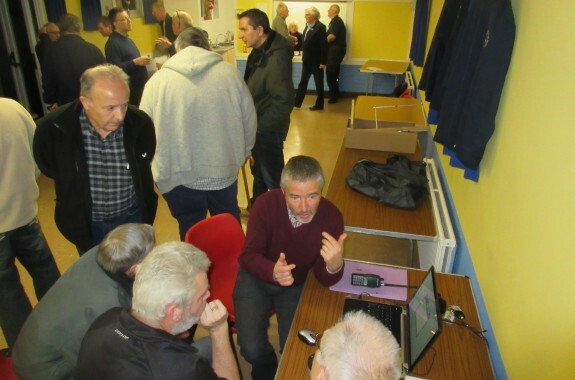 Jim 2E0JTW was also back, and very busy, with the ever-popular badge-making machine, and Quizmaster Clive G1EUC ran the ten-question multiple choice quiz on topics such as the band plan, connectors and multimeters. 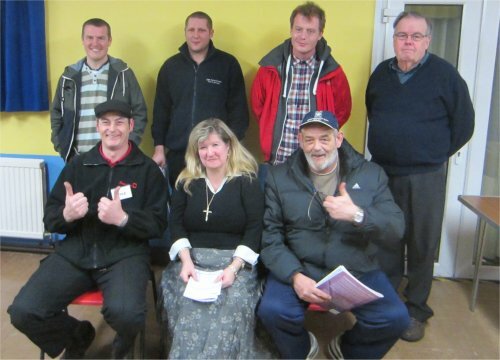 A selection of home-made cakes was provided by Ann (Mrs 2E0RMI), and refreshments were served by David G3SVI and Myra M0MYR. What turn out it realy is good to find members coming out to attend this night it proves you are doing it right more power to your elbow . cheers G2ARY + M0BQD. 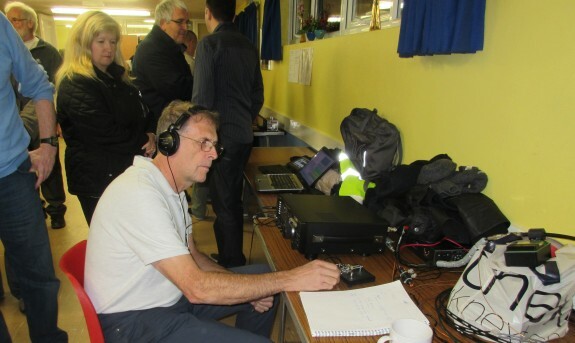 The skill night was extreemly interesting, And learnt a bit about Inverted L aerials for Topband,from Carl.Will rejoin CARS and come again .jon G8CCL/M3CCY.